Today is Thursday, April 20, the 110th day of 2017 in the Gregorian calendar, with 255 days remaining. 1,371 days until the end of Donald Trump's term as President, assuming he doesn't resign or is otherwise removed from office. 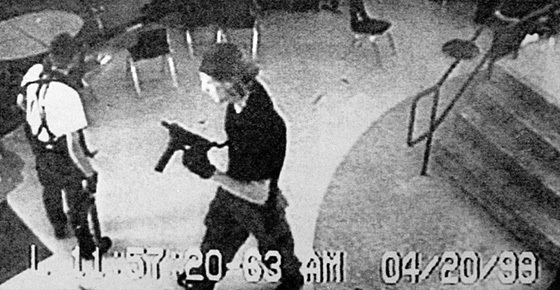 On this day in 1999, two senior students at Columbine High School in Colorado, Eric David Harris and Dylan Bennet Klebold, killed 13 and injured 24 others in the Columbine High School massacre. The two then committed suicide in the library, where they had killed ten of their victims. Among other things, today is also Lima Bean Respect Day. Florida man bites dog. "I'm obviously not happy about it," said Jessica Wenner, the suspect's girlfriend and dog's owner. "If you want to annoy your neighbors, tell the truth about them." Trillions of plastic bits, swept up by current, are littering Arctic waters.Every year, about eight million tons of plastic gets into the ocean, and scientists estimate that there may be as much as 110 million tons of plastic trash in the ocean. Though the environmental effects of plastic pollution are not fully understood, plastic pollution has made its way into the food chain. Plastic debris in the ocean was thought to accumulate in big patches, mostly in subtropical gyres- big currents that converge in the middle of the ocean- but scientists estimate that only about one percent of plastic pollution is in these gyres and other surface waters in the open ocean. By antagonizing the U.S.’s neighbor to the south, Donald Trump has made the classic bully's error: He has underestimated his victim. Was ethical responsibility, or the loss of millions of dollars in advertising revenue and future business deals responsible for Bill O'Reilly's ouster at Fox? Guess. Just ten companies control just about everything you eat or drink.